Video Footage of World Cup 2018 Qualifying Matches. 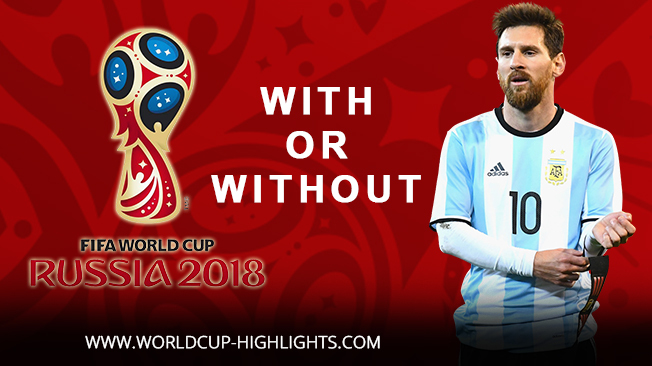 Highlight video World Cup qualifying match on 11 October 2017. In the early hours of October 11, 2017, some decisive matches were held to select which countries may participate in the most prestigious soccer show, the fifa world cup 2018 in Russia. And as you know, in the match between Ecuador vs Argentina is a decisive match that could be the answer whether Argentina got away or not. Yes, the answer is that Argentina managed to qualify for the 2018 World Cup competition to be held in Russia. Argetina finally managed to qualify for the 2018 Russia World Cup because Colombia drew 1-1 with Peru, as well as Chile losing a landslide 0-3 from Brazil. And Argentina itself won 3-1 against Ecuador. A very miraculous luck can actually happen like this. Because previously already in the know the possibility for Argentina is very thin. They are at the end of the horn. Highly threatened "can not participate in the 2018 World Cup in Russia". But the wheels of fate spin and still sided with Argentina, Lionel Messi silencing Ecuador on October 11, 2017 by scoring hatrick. 3 Goals donated by Lionel Messi to victory of Argentina and ensure Argentina finally qualify for the 2018 World Cup in Russia.